Patey London Ltd, makers of the iconic velvet Patey hunting cap and hatmakers to the Queen of England, have merged with PROtector, makers of the highest-safety-rated riding helmet in the world. The new Patey – PROtector will continue to produce both lines, as well as the velvet-covered Patey PROtector, a helmet that combines the style and tradition of a Patey with the modern safety standards of a PROtector. Patey’s hat-making roots stretch back over 300 years. Patey supply hats for the Royal household, The Lord Mayor, London’s finest hotels, Olympic showjumper Shane Breen, Olympic eventer William Fox Pitt, and others. Each hat is handmade by skilled craftsmen in Patey’s London factory. 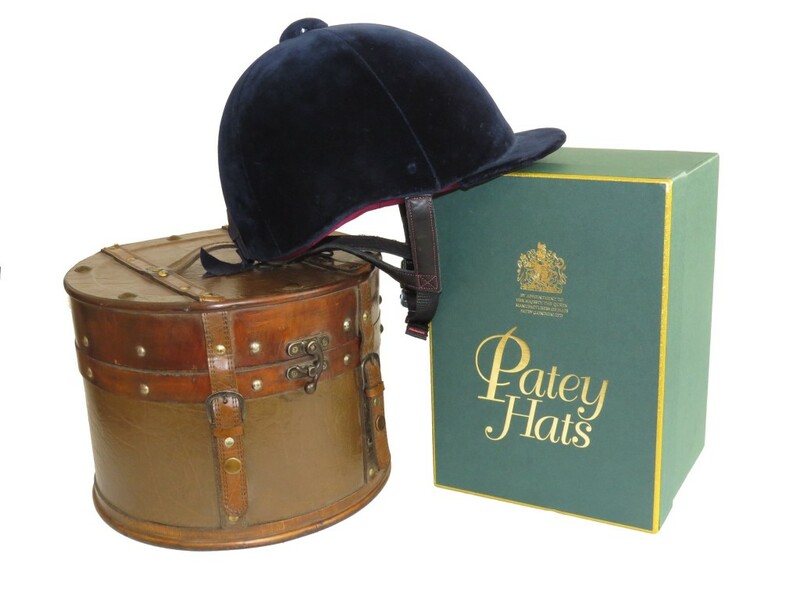 Patey PROtector helmets were first developed by Ian Beattie, then an official for Head Safety with British Eventing, at the request of Olympic gold-medal-winning showjumper Peter Charles. After years of research and development, PROtector began producing the highest-safety-rated riding helmet in the world, with patented Safety Standard SNELL E2001 technology, which meets all the highest current standards of competition regulation. Patey PROtector helmets are available at Patey’s London showroom and factory in London on Ilderton Road, off the Old Kent Road, and at all major equestrian shows in the UK and abroad including The Virginia Hound Show, Belton, Badminton, and Hickstead. As a special offer celebrating the merger, the Patey PROtector will be available at a 15% discount at the Patey showroom until the end of March.